A peer-reviewed study, commissioned by NOAA, reveals the estimated total economic value the American people hold for the coral reefs of the main Hawaiian Islands is $33.57 billion. "Hawaiians, as well as residents from across the United States, treasure Hawaii's coral reefs, even those citizens who never get to visit," said Jane Lubchenco, Ph.D., under secretary of commerce for oceans and atmosphere and NOAA administrator. "This study illustrates the economic value of coral reefs to all Americans, and how important it is to conserve these ecosystems for future generations,"
"We are pleased that research is being done to look at the value of Hawaii's coral reefs, but before we consider any potential applications of the study we will consult closely with local communities," said William J. Aila, Jr., chairperson of the State of Hawaii Department of Land and Natural Resources. The study employed a scientifically developed national Internet survey of more than 3,200 households - a representative sample of all U.S. residents, not just Hawaiians or coastal dwellers. From June through October 2009, the survey allowed the public to express its preferences and values for protection and restoration of the coral reef ecosystems around the main Hawaiian Islands. In this study, total economic value includes passive use values, such as the willingness to pay to protect the coral reef ecosystem for future generations, and direct use values-- snorkeling over a coral reef or consuming fish supported by coral reef ecosystems. To estimate the public's underlying values of coral reef ecosystems, the study team presented survey participants with two specific measures to protect and restore coral reef ecosystems. One measure aimed at reducing effects to coral ecosystems from fishing, and another to repair reefs damaged by ships. A panel of independent university and private scientists, from both Hawaii and the continental US, provided facts to the survey design team about the Hawaiian coral reef ecosystems and provided estimates of how the coral reef ecosystems would change in response to the two possible management options. The descriptions, including illustrations, of improvement to coral ecosystems gave survey respondents a clear understanding of what they were being asked to value and how the ecosystems would change as a result of the protection measures. The main Hawaiian Islands consist of eight volcanic islands that range in age from active lava flows on the east side of the Big Island to seven million-year-old Kauai. Despite their economic significance, reefs near urbanized areas, such as Honolulu, Wailuku, and Kahului, have experienced increasing stress from ever-increasing population pressures. The national survey was funded by NOAA and the National Science Foundation, and was designed to address the issue of Internet bias. The survey was conducted through two Internet panels; one recruited participants using controlled random digit dialing telephone surveys and the other using standard U.S. Bureau of the Census methods of randomly selecting households and going to each household to recruit participants via face-to-face interviewing. Richard C. Bishop, David J. Chapman, Barbara J. Kanninen, John A. Krosnick, Bob Leeworthy, and Norman F. Meade. 2011. 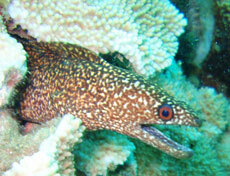 Total Economic Value for Protecting and Restoring Hawaiian Coral Reef Ecosystems: Final Report. Silver Spring, MD: NOAA Office of National Marine Sanctuaries, Office of Response and Restoration, and Coral Reef Conservation Program. NOAA Technical Memorandum CRCP 16. 406 pp.